#DIGIREVIEW : WOW!!! THIS LITTLE TINY SPEAKER PUTS OUT A NICE LOUD SOUND! 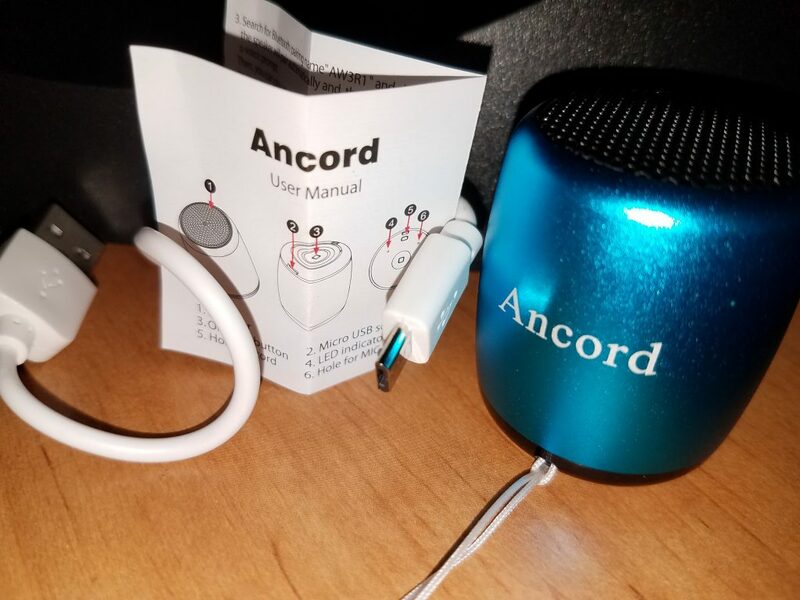 Today I am adding this tiny portable Ancord Bluetooth speaker http://www.amazon.com/gp/product/B01GR46AVU to our growing list of #digireview’s because it’s so easy to travel with and would be a great gift for anyone that enjoys music on the go! 1 speaker about 2″ inches tall and about 1.5″ inches in diameter. It’s easy to connect to any Bluetooth ready device and is ready to use in no time. I really like the fact that it is super tiny can fit in the palm of my hand or I can let it dangle from my phone because they included an earphone plug cable that attaches to the speaker. Now I can enjoy my music when playing games on my phone, gardening, doing housework or out at the beach. The only issue I found is that you can’t go that far from the speaker before the connection gets lost and it doesn’t work well with tv shows or movies since the audio is slightly out of sync. All in all, this is a great speaker and I can definitely see myself giving as a gift! Listen to what it sounds like.